MagicCatJenny: I'm back! Here, have a giveaway! I'm back! Here, have a giveaway! I'm back in California, New York City was so great. 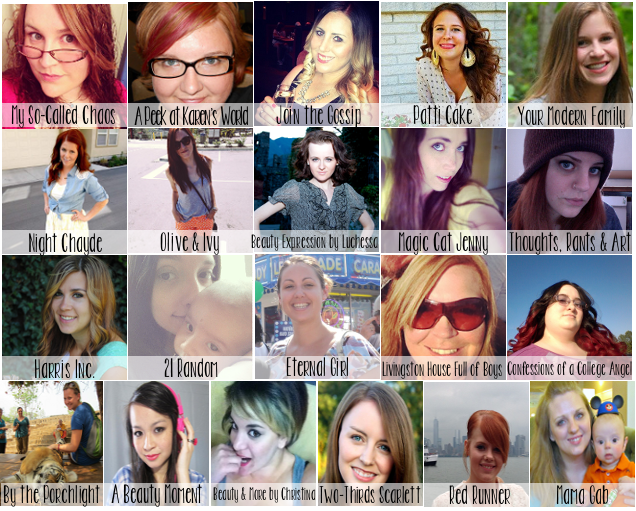 Before I unpack and upload my photos, enjoy this Back-To-School contest I forgot I donated to! Ha! 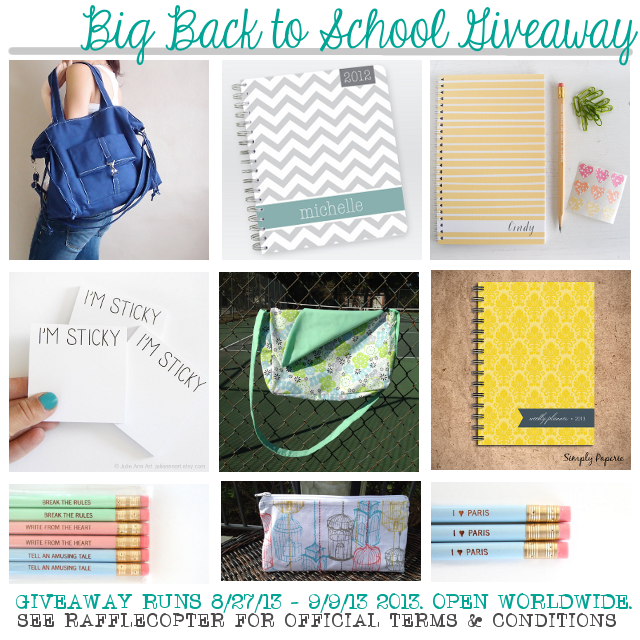 These fantastic sponsors have teamed up with me for a Big (and I really mean HUGE) back to school giveaway! We all wanted to go in on awesome back to school supplies that anyone could use. Whether you're going to college, sending your kids to school, or you really just love adorable organizational supplies. Here are the packages we have for you! 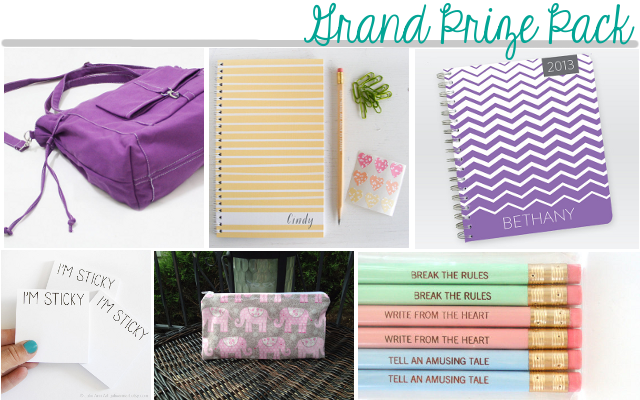 The Grand Prize Winner will receive their choice of Kinies EZ Tote Bag (in their choice of Black, Khaki, Army Green, Red, Purple, Royal Blue, Orange, Gray, or Dark Teal), a personalized Watercolor Striped Notebook from Letter C Design, I'm Sticky Sticky Notes from JulieAnnArt, their choice of a Set of 6 Pencils from Carbon Crusader, and their choice of Pencil Pouch from Sawyer Sewing. If winner is outside of the US they may receive Paypal cash/Amazon gift card for items that cannot be shipped internationally or cost too much extra to. The First Runner Up will win a set of 3 pencils from Carbon Crusader and their choice of a Reversible Messenger Bag from Technicolor Moments. If winner is outside of the US they may receive Paypal cash/Amazon gift card for items that cannot be shipped internationally or cost too much extra to. The Second Runner Up will win their choice of Weekly Planner from Simply Paperie and a set of 3 Pencils from Carbon Crusader. If winner is outside of the US they may receive Paypal cash/Amazon gift card for items that cannot be shipped internationally or cost too much extra to. Entering the above Rafflecopter/Giveaway agrees to the Terms & Conditions listed inside. Shops where the prizes come from are not participating and have nothing to do with this giveaway.